Here's a joke for you, what takes 6 hours to do, 6 weeks to get sign-off and results in only 6 people reading it? B2B emails! OK I admit its not a great joke, but after you've spent so much time on your quarterly/monthly/weekly email, its certainly no laughing matter when the open rate results are poor. Many businesses blame spam filters, a poor email database or even content for a poor open rate, and yes, sometimes this is the case. A trend that has emerged into the email marketing world is using the company name as the sender of the email, rather than an actual person. From experience, I know that businesses want to do this to be perceived as a big company, or, do it to cut down on the amount of 'out of offices' individuals would get in their inbox. 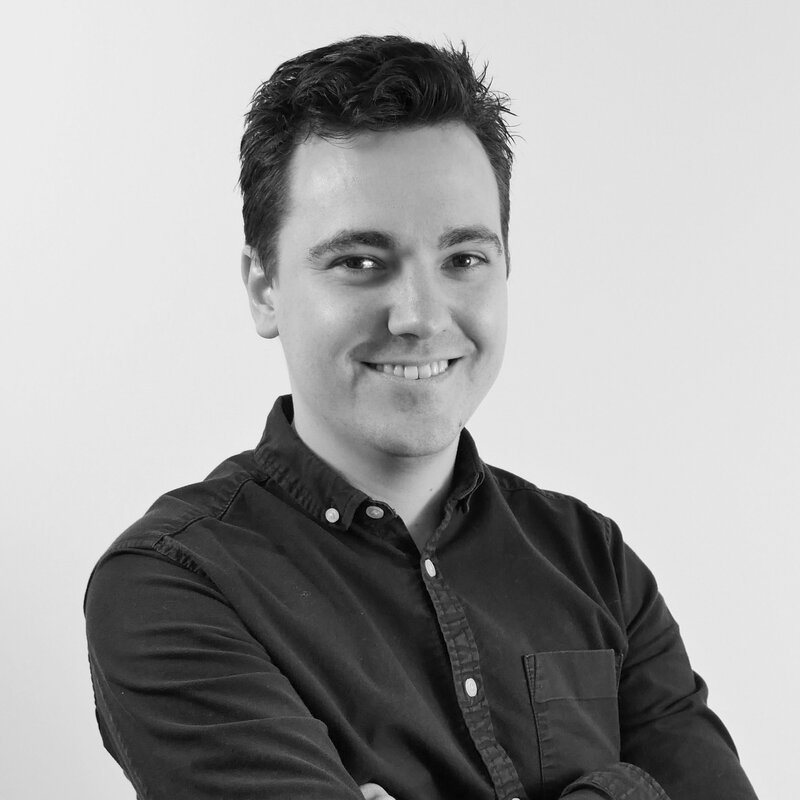 The trouble is, recent research has found that emails get a better opening and click-through rate when it is addressed from a 'real person'. People want to talk to people, not brands, so stick a name in that sender box and begin to see an immediate difference from the next edition you send out. We're all busy people and can't be bothered to press once on our mouse to read each individual email, we want a snippet of information to grab our attention - and this is what the subject line should do. The subject 'Weekly Update' or 'Company eShot' just won't cut it! 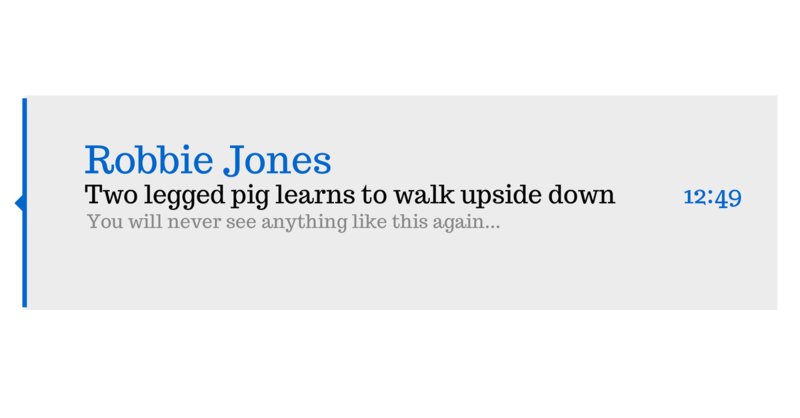 The best email subject line I've ever received was "Two legged pig learns to walk upside down". It may not be a business email, but its a great example of something that will get people clicking! Another great way to boost your subject line appearance is by including the recipient's name. Personalisation again will prove a positive change in your campaigns. Some email systems offer a message preview that gives the reader even more of an inkling about the contents of the email without opening it up. The best way to think about this, is the same way as a web page's meta description which can be seen on search engines. It's not entirely essential, but its worth filling in anyway as it may lead to more opens. If you've got a clearly defined split in your CRM system, for example, new customers and existing customers, consider splitting up the database and sending them different emails. These emails don't have to be altered massively, just tailor the content and subject line accordingly to target consumers. With a more tailored message, you've got a better chance of getting them to open the email. Extra work I admit, but worth it. Whether you're working on MailChimp, Campaign Monitor, HubSpot, or a bespoke email marketing system, you should be able to retrieve data that helps you adjust your email campaigns accordingly. Open rates and click-through rates are usually included in the analysis area, just make sure you use it to test campaigns. Some systems even offer A/B testing. If they do, have a go at changing your subject lines, the sender names and message preview too. You never know, one simple word alteration may just claim a new client or spread your email message far and wide. Making great emails can be difficult, and very soul destroying when not many people view them. What you've got to remember is that if these people have 'opted in' to receiving email updates from you, they're already interested in what you've got to say. All you need to do is reinvigorate their love for you by giving them quick, snappy and exciting emails that will get them clicking again.